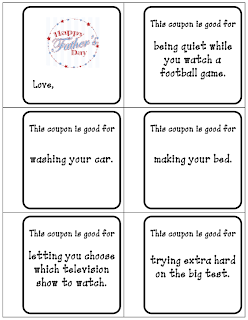 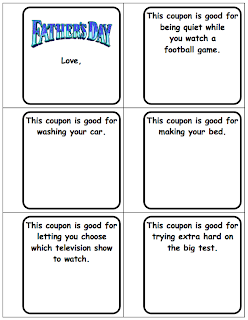 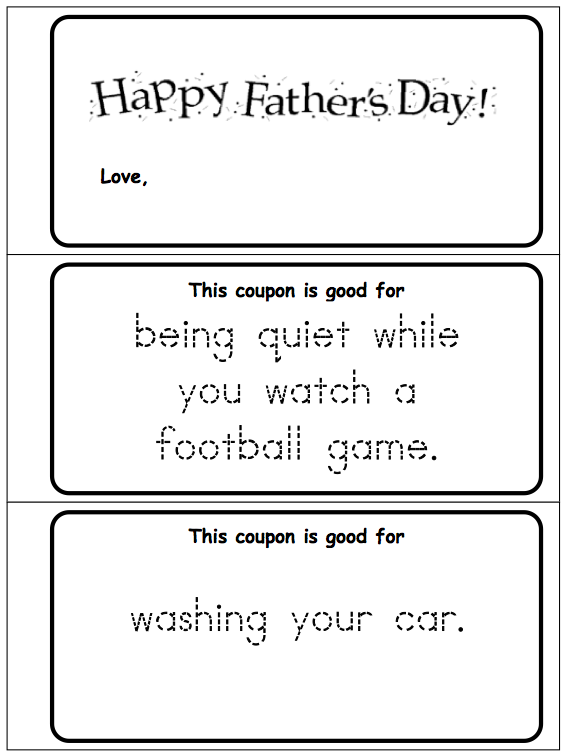 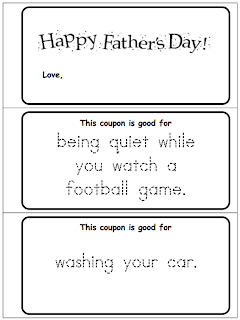 Your students will have creating these coupons for Father's Day. 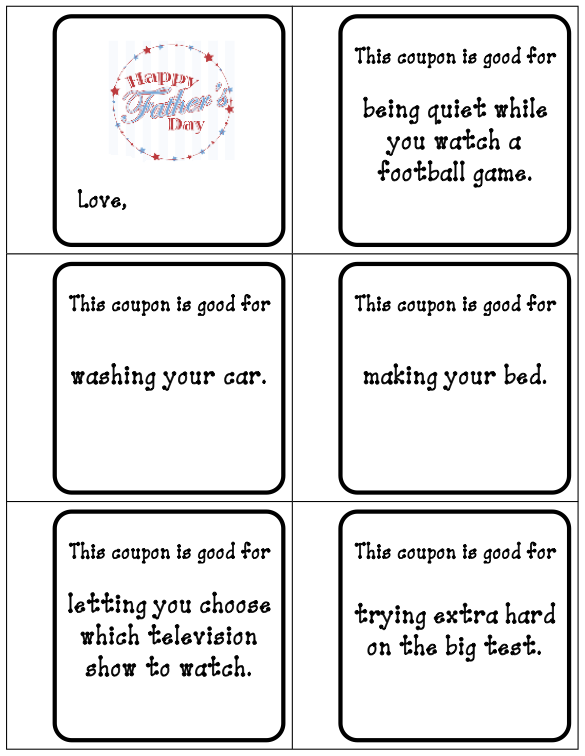 There are three types of coupons. 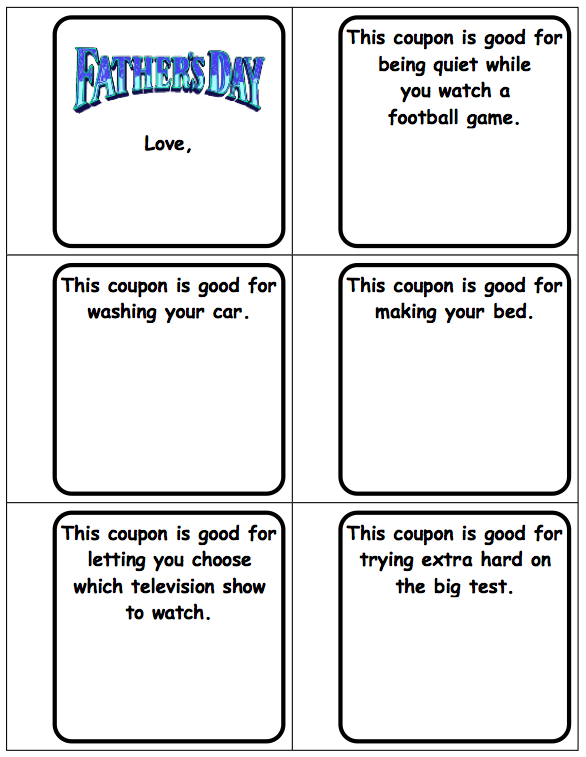 The students may draw a picture, trace over dotted lines, or simply create a cover for the coupons.